Some nights things just want to work out. For whatever reason my intermittent Comcast disconnect issue was being very consistently disconnecting last night. When it finally did finally stabilize, I tried logging into STO but was still getting disconnects in Cryptic’s games. Or maybe it was my connection being flaky enough that it was causing problems for a game while being fine for streaming video from YouTube. No idea. Despite my short time in game, I did hit a milestone. Bryn Aev was promoted to Fleet Admiral, that’s level 60 and the current level cap in the game. Granted it was just as result of assignments completed by duty officers aboard the U.S.S. Vyrael, but I’m sure he played an important leadership role in their success. Or could just be Starfleet politics. 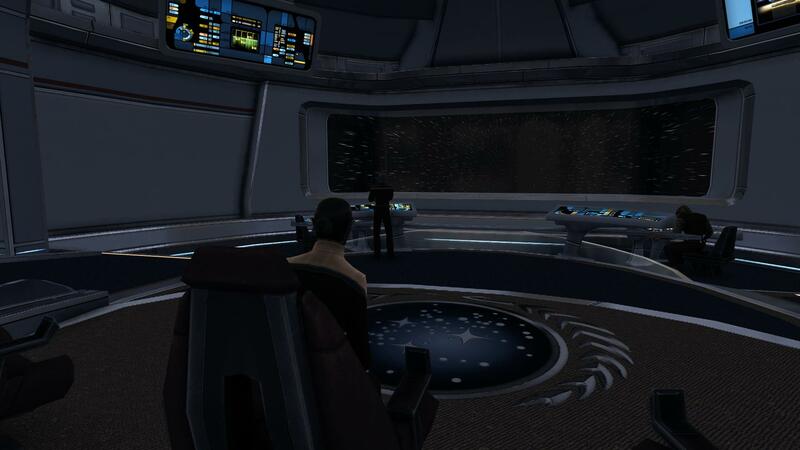 Despite hitting the cap, I still have a few more missions to complete in the Delta Quadrant before Season 11 arrives, not that there’s a date for it yet but I’ll be surprised if it’s not planned for October some time. Since my internet connection wasn’t cooperating, I tried playing some KSP but my head just wasn’t in the right place for that either. Mostly because I’m getting to the point where I’m ready to fast forward to the transafer window for sending the Kerbol Explorer to Jool and didn’t have enough time to really finish the mission preparation. Instead I crashed on the couch and watched part one of the two part season finale of Dark Matter (which got renewed along with Killhoys which I like a bit more) and went to bed before midnight. It made me feel like such a responsible adult.